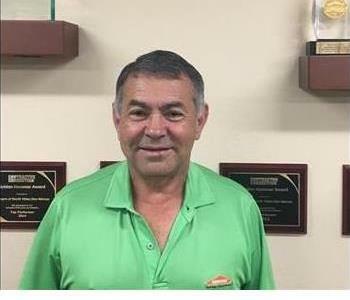 Joe Araya is one of our 2 franchise owners along with his son Juan Araya. He has over 25 years experience in the restoration industry. He is IICRC certified with specialties in mold, water mitigation, fire mitigation & restoration, as well as applied structural drying. Joe has experience with carpet cleaning & restoration, furniture cleaning & restoration, general carpentry, & general contractor work. He proudly served as a member of the United States Marine Corp for 20 years. Joe has been with our franchise for 15 years. He and his son, Juan, started the franchise together. Joe lives in Escondido with his wife. He is the proud father of 5 children, as well as 8 grandchildren. Joe spends his free time volunteering for St. Jude's & Operation smile as well as fishing. Juan Araya is one of our 2 franchise owners along with his father Jose "Joe" Araya. He has over 15 years experience in the restoration industry. He is IICRC certified with specialties in mold, water mitigation, fire mitigation & restoration, as well as applied structural drying. Juan has been with our franchise for 15 years. He and his father, Joe, started the franchise together. 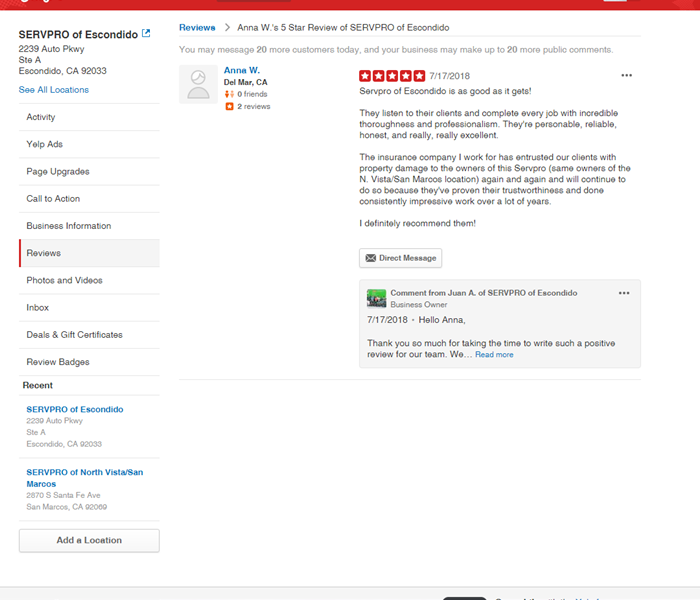 Juan lives in Vista, CA with his wife and 2 children. In his free time he coaches youth soccer and volunteers for a youth organization, "Run Kinds Unleashed". He is also a huge cycling enthusiast who rides often and rock climbs. He has over 10 years experience in the restoration industry. 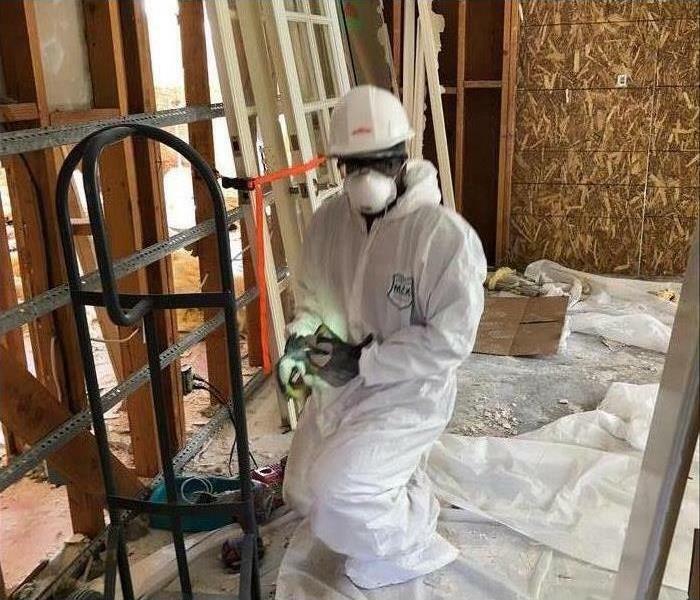 He is IICRC certified with specialties in mold, water restoration, and bio hazards. Steve proudly served in the United States Marine Corps for 25 years. He received his Bachelors degree at the University of Maryland and a Masters degree at the Redlands School of Business. Steve has been with our franchise for 10 years. He recently relocated from Temecula, CA to Vista, CA where he resides with his wife and 3 daughters. He is also proud to have 4 grandchildren. In his free time Steve enjoys MMA training & marathons. Fernando Torales is our Water Mitigation Department Manager. He has over 8 years experience as a manager and 12 years experience in the restoration industry. 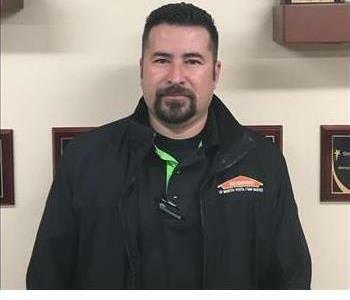 Fernando is certified in Water Damage Restoration and Applied Structural Drying. Fernando has been with our franchise for more than 3 years. He currently resides in Carlsbad, CA with his wife and 3 children, In his free time he enjoys spending time with his family and cars. 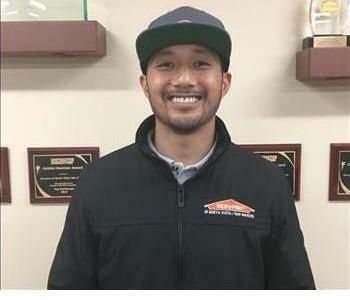 Anthony Canlas is one of our estimators. He has 1 years experience in admin related work and management. Anthony was the manager of our content division before getting promoted to the estimator position. Mario Cruz is a Crew Chief in our Water Mitigation Department. 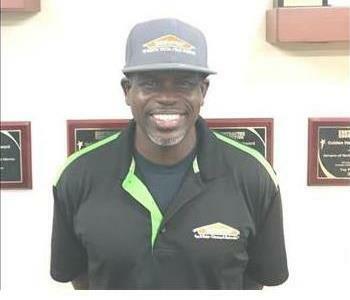 He has over 5 years in the water mitigation, water damage, and restoration services industry. 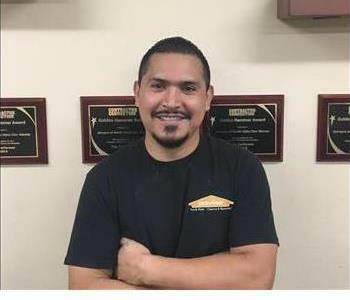 Mario has also completed the WRT course program and is certified in Water Damage Restoration. Mario has been with our franchise for over 4 years. He resides in Vista, CA with his wife and daughter. In his free time he enjoys spending quality time with his family and fishing. Allen James is a Crew Chief in our Water Mitigation Department. 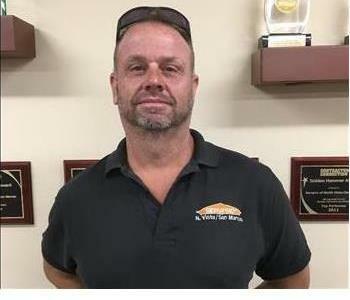 He has just shy of 15 years in the water mitigation, water damage, and restoration services industry. Allen has completed the WRT course program and is certified in Water Damage Restoration & Applied Structural Drying. Allen also proudly served 13 years in the United States Air Force. Allen has been with our franchise for almost 2 years. He lives in Fallbrook, CA with his wife. In his free time he does volunteer work for "Qahal Matoq Edah", helping to feed the homeless & assist the elderly. He also enjoys boomerang throwing & running. 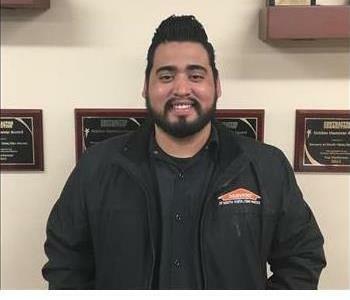 Jose Ortega is a Specialist Technician in our Repairs Department. 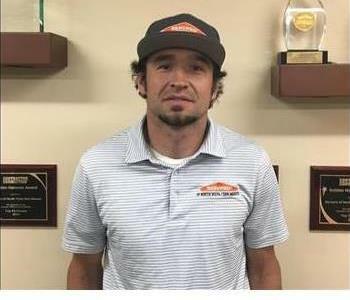 Jose has nearly 10 years experience in drywall, painting, carpentry, and specializes in cabinetry designs and installations. Jose has been with our franchise for 7 years. He currently resides in Vista, CA with his wife. 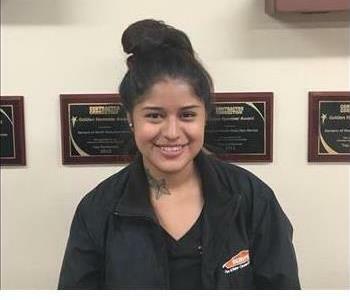 Marlene Filares is a Crew Technician in our Pack Out Department. She has 2 years experience in pack outs, pack backs, & contents restoration and care. Alma has been with our franchise for over 2 years. She lives in Escondido, CA with her son. In her free time she likes to take family walks with her dog and son. Meeko (also known as Meeko-Moo) is our Director of Happiness & Morale as well as our Franchise Mascot. Meeko has very little experience in the restoration industry but makes up for it in cuteness. 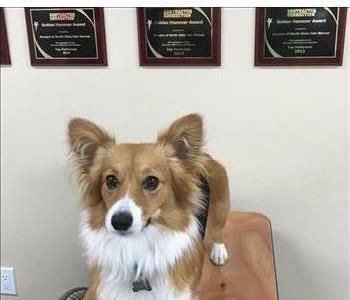 She excels in herding employees into the meeting room. Meeko is ASB certified (Advanced Structural Barking) and specializes in locating food, no matter where it is hidden. Meeko lives in Vista, CA with her parents Ricky & Jen. In her free time she enjoys barking, running the beach, sun bathing, napping, removing the squeaker from toys, and most of all doing Corgi things!